*PLEASE NOTE* We only stock some of this equipment. The stocked equipment has been noted below. All other equipment will require ordering in. UTEST supplies high quality digital and glass thermometers for various applications in the construction industry. UTGT- 1550 Mechanical Dial Thermometer provides accurate temperature measurements especially at high temperatures up to 260°C. UTEST supplies high quality single and dual stage vacuum pumps for providing the vacuum power which is required for various applications in material testing. Two stage rotary-vane design improves the ultimate vacuum and pump speed and reduces the evacuation time. 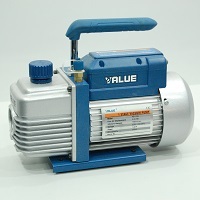 The integrated pump body design ensures the reliability and easy maintenance. Built-in oil pump cycling design forced-lubricates the pump chamber and sliding bearing and ensures its lubrication and seal. Anti-Suckback design prevents oil from returning back to the system. The intake filter can prevent foreign matter from entering into the pump chamber and the exhaust fitting separates oil vapour from the exhaust flow. Aluminium oil housing, trestle and motor cover forms a rigid and light design. Thermal protection of the motor makes the pump to run steadily and ensures safety. UTEST Steel Rulers come in rigid and flexible versions. Although their primary purpose is accurate measurement, they can also be used as guides for laying out lines, and if rigid enough, for cutting. UTEST supplies high quality general laboratory glassware, plasticware and hardware for various material testing applications.